Series 2 for SpongBob Squarepants Mega Bloks blind packs, involve the new movie, Sponge Out of Water. Some nice figures fill out the collection, especially the Mystery Mystery figure. Good looking toys to play with! Happy Meal toys tries all sorts of things each and every time, this time for the new Spongebob Movie Sponge out of water, we get Straw Topper toys. 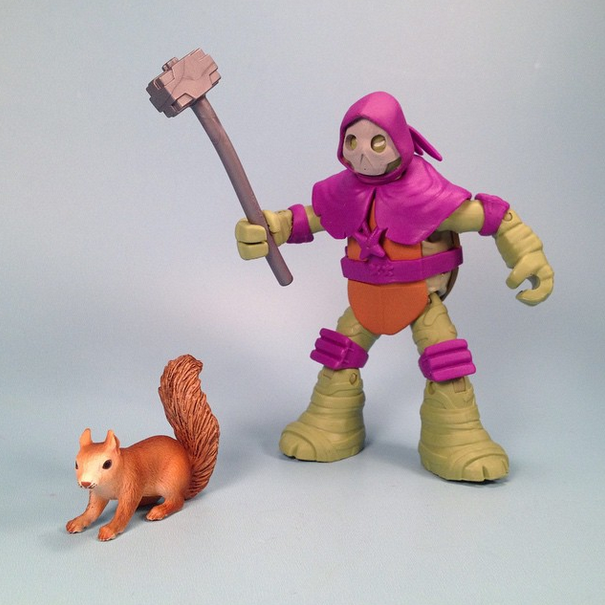 They are pretty spiffy if you are into collecting alternative toys. Each looks to be a cut out of a main character, with ability to sit on a straw. Three have sound effects, three have action features. The direct to surface graphics look really good, as usually Happy Meal toys are low on detail. Find them in February and maybe some of March. 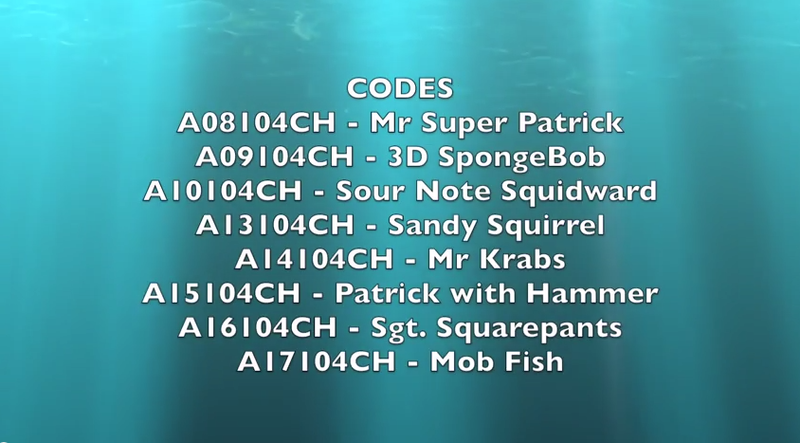 Characters included are two kinds of Invincibubble, Plank-ton, Mr. Superawesomeness, Sour Note Squidward, and Sir Pinch-A-Lot Krabs. Fun drinking stuff! I think Sir Pinch-A-Lot Krabs is my favorite, funny funny funny! 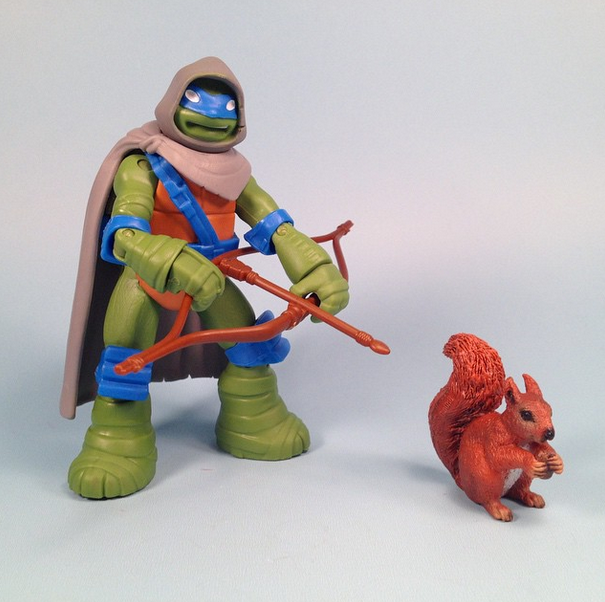 What started as a collect only Leonardo Turtle figures, quickly morphed into; just get the whole darn Mystic Turtles collection! Just add a cloak or a scary mask, and I am sold. Overall the figures are pretty fun. 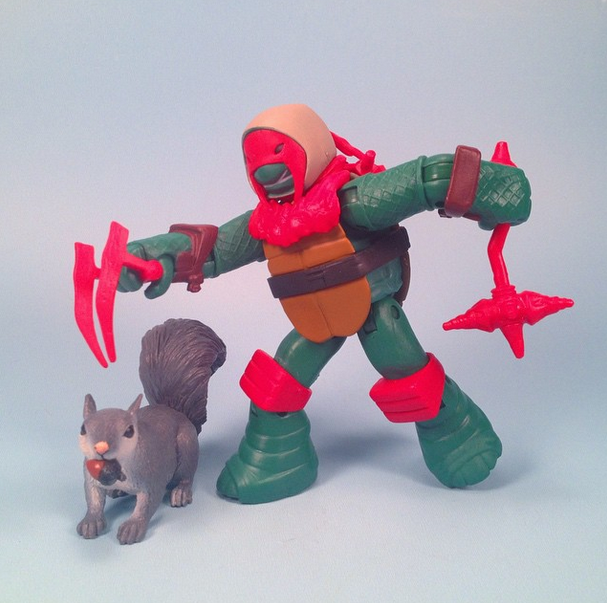 There are a few misfires on the paint; no camo paint on certain turtles, Raph missing his fire protection metal paints, and a few other small details, but over all fun stuff. Also included are different weapons then their standard gear, makes for some new possibilities. Look for these now in the year of 2015. 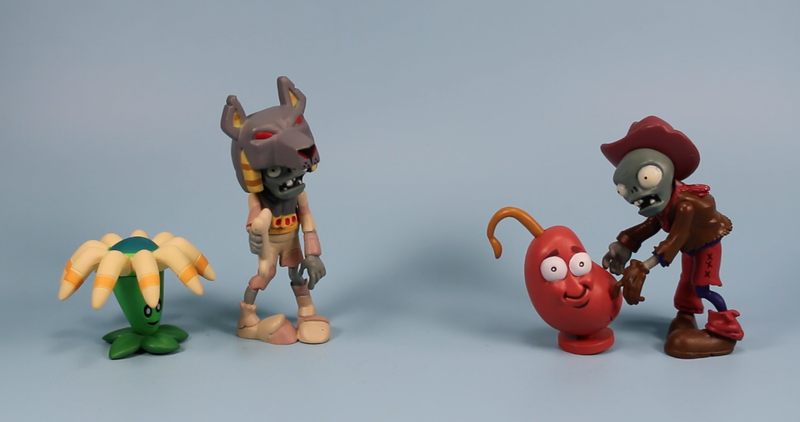 Over Christmas break I kind of went nuts over these Plants vs Zombies Jazwares Fun-Dead figures. I found most of them on Amazon and Ebay for various killer deals, and just now got to opening them. Its hard to say what series or waves each of these fall in, but I think its several years worth. The Crazy Dave figure started it all, and then I just kept adding. They are good, highly detailed standing figures (not cowboy), but not so much for play. 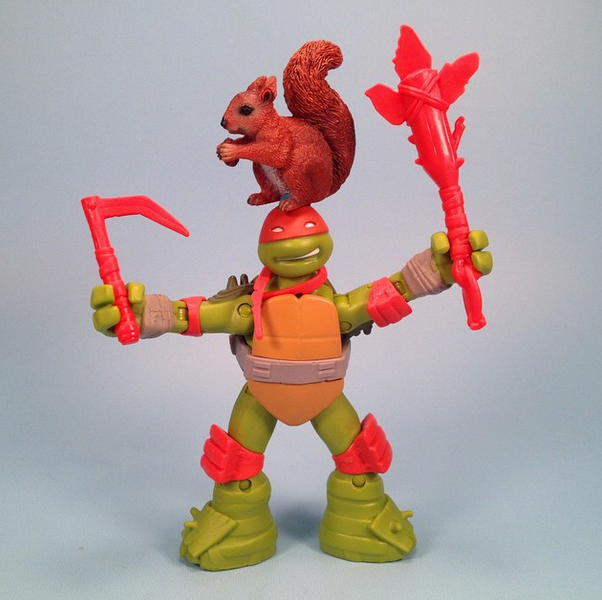 I would be cool if someday the license went to a toy company that could do more. But for now, these are still very much lots of fun! I am still into the Micro World Playsets, and with the addition of the new Super Mario Bros. U Frosted Glacier sets, we have snow! The tiles are simple and low play, but the more you get, the better the world is. This set could have used something for Mario to step on, but there is another set to match up with Luigi.